Verify the identity of a person positively using a combination of a person’s identity number and thumbprint/s. The result confirms whether the identity number captured matches the thumbprint/s or not. The result also returns the Names and Surname of the person linked to the captured identity number, including an Alive or Deceased status, i.e. 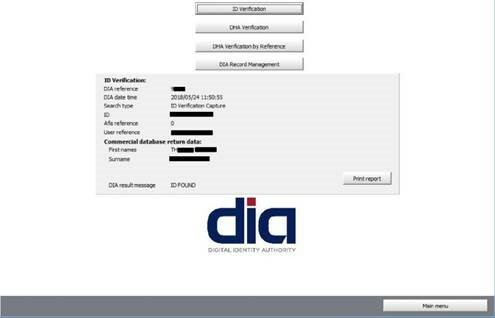 the same as for a DHA Identity Number Verification. When printed the Photo will not print because of security reasons. Verify the identity of a person using an identity number only. The result returns the Names, Surname and an Alive or Deceased status of the person linked to the captured identity number. 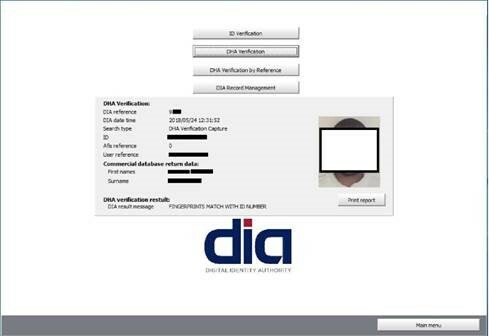 Kindly note that the DHA Identity Number Verification is not performed against a commercial database but against the database of the DHA System.